If you are not yet using Pinterest traffic to help drive traffic to your site then you are really missing a trick. Pinterest now has over 200 million active members and is a force to be reckoned with. This Pinterest Guide will bring you up to speed very quickly and give you a full understanding of how Pinterest works and how you can take advantage of the Pinterest Traffic on offer. Some describe Pinterest as an online scrapbook, just somewhere to store your pictures. Pinterest is a very impressive social site crossed with a search engine. Pinterest runs an algorithm called Smart Feed to organize and rank the images that we pin. And this is where Pinterest gets really interesting for site owners and marketers. 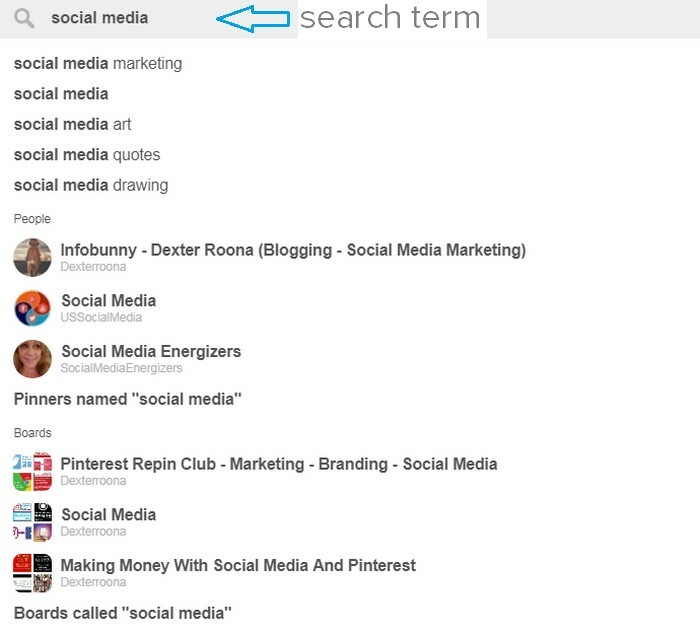 Search engines rank pages by using keywords and Pinterest’s Smart Feed is no different. So understanding how to set up your profile and your boards are key to when it comes to generating traffic and engagement with Pinterest. The Smart Feed algorithm is designed to show you the best content, the content that will keep you coming back. Pins are shown on a “best first” basis rather than “newest first” And that is exactly how Google Search works. Pinterest’s Smart Feed is responsible for prioritizing and ranking pins based on their quality, with quality being determined by their algorithm. Domain quality is Pinterest’s idea of the quality of your website. Pinterest’s Smart Feed can see how popular pins from your website are. It learns very quickly whether your site is a source of high-quality content over time. A quality domain equals Pinterest Traffic and lots of it. Pin quality is determined by the popularity of your pins. If lots of people “repin”, “like”, and hit the “Tried It” button on your pin, Pinterest will view that engagement as an indication of a high-quality pin. Pinner quality is Pinterest’s estimation of you as a content curator. Google uses trust as a factor for ranking content and so does Pinterest. 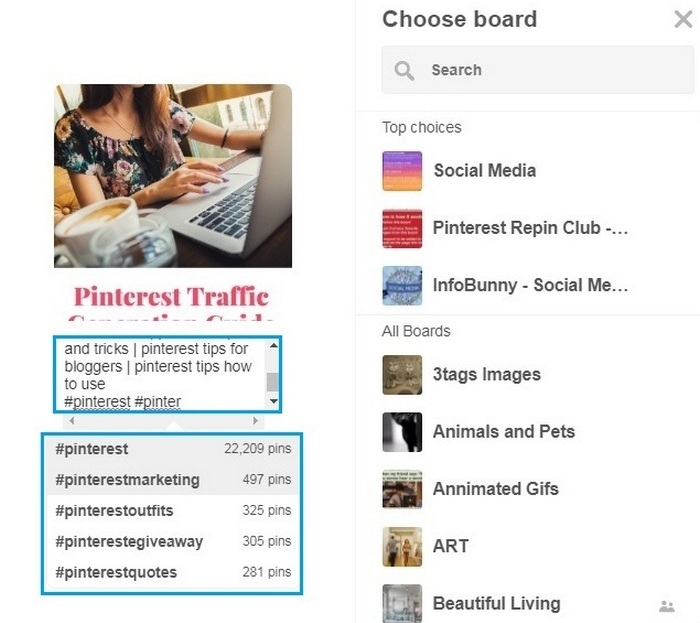 Does Pinterest trust you to curate the best and the most relevant content? Or not? 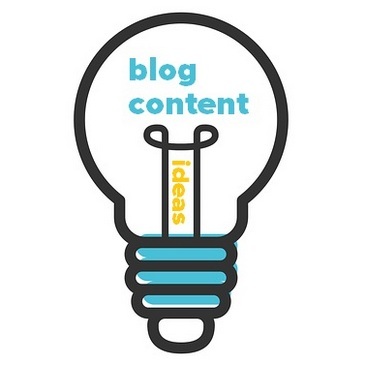 Pinner quality is largely based on how well your content is received. Do you have influence over your visitors? Does your content receive a lot of repins and likes? Do you pin content that Pinterest already rates as high quality? Are you an active Pinterest user? How often do you pin? 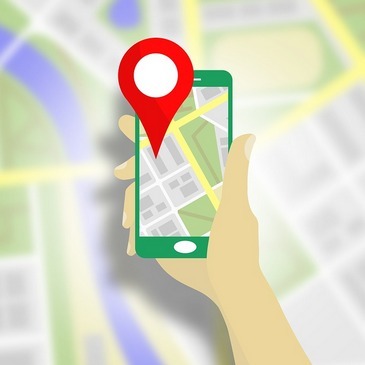 Relevance is how closely your pins fit your audience’s overall interests, specific searches, and recent search history. This is where optimizing your profile, boards and pins come’s into play. You need to set up your Pinterest SEO. So now we have a basic understanding of what Pinterest is and how it ranks our content, let’s move on to how we can set up and generate masses of traffic with Pinterest. This Pinterest traffic guide will cover the basics, right through to covering the more advanced features. I suggest you bookmark this guide so that you can come back to it as there is a lot to take in, in just one read. I have added some jump links below so you can click and navigate to each section so that you can pick up where you left off when you do visit again. I am assuming that you already have a Pinterest account if not then head over to the signup page here for a personal account. If you are going to use Pinterest for a business then you may want to sign up as a business here. 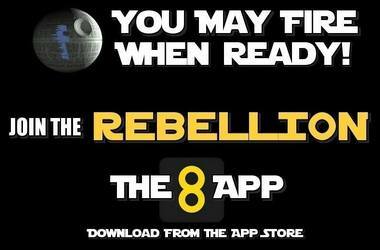 You can, of course, download the app from your app store and join via the app as well. Although both types of accounts look very similar there a few differences that you should take note of the main being that Business pages are more geared to brands and carry some very cool analytics tools that give you access to rich analytics showing you how your pins are doing. Think of a personal account as your Facebook profile and a business page more as a Facebook Brand Page. Another point to note is that personal and business pages carry different Terms Of Service. If you have already joined Pinterest with a personal account then not to worry you can convert your account to a business account whenever you want to. Cory Wainwright does a great job on HubSpot showing you how to convert your personal Pinterest page to a business page. When setting up your profile you have to remember that Pinterest is not just a social site and that it is also a search engine and so to give our profile the best opportunity of being found by others we must optimize for search so we need keywords and plenty of them. 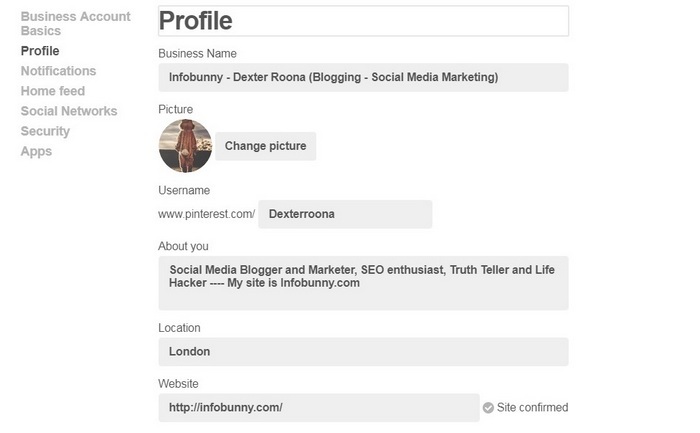 Take a look at the screen capture of the Infobunny account bio below. Well, it is all about keywords and not just keywords in the bio but also the account name as well. 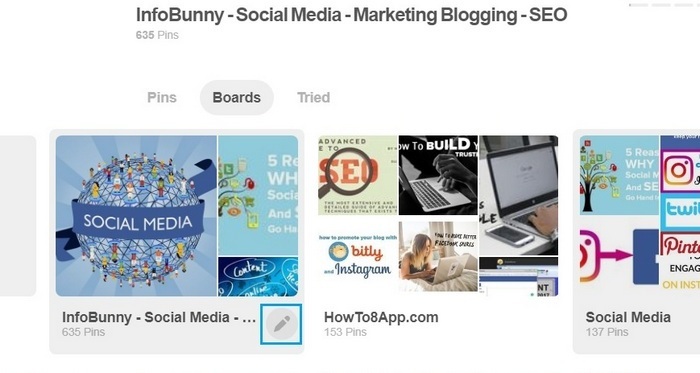 Profiles and pin boards that have keywords in their name appear when you search keywords on Pinterest. 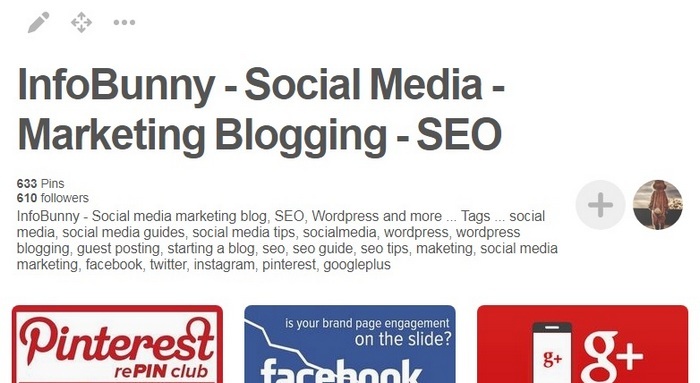 Our title in the image above carries the keywords Blogging and Social Media Marketing. When these terms are searched you get the results in the image below. So as you can see it is there is good reasoning for optimizing your profile title and bio for keywords. If you have already set up your bio without keywords, then it’s not a problem you can simply edit your profile. Pinterest offers you another opportunity to boost your Pinterest Traffic when you set up your boards. Keywords play a big part in their optimization. When you search for a keyword or keyword phrase, as well as people/profiles showing, boards also appear so again we must name boards with a good keyword description and use keywords within the description of the boards. You can if you like just load the board with keywords. But to me, that can look a bit spammy so instead, we like to write a genuine about description, a line or two and then add keywords below that description. Pinterest Traffic Generation Pro Tip – Edit your boards occasionally, changing the descriptions and tags to freshen up your boards to appeal to a new audience. To edit a board click the pen icon at bottom of the board. If you really want to increase your Pinterest traffic and boost your traffic stats then create cover images for your Pinterest boards. 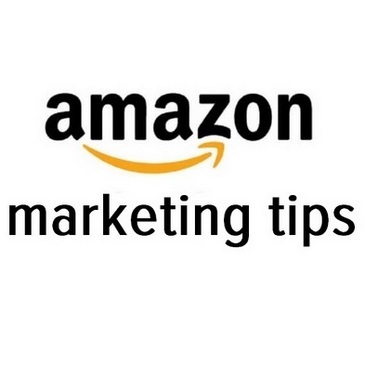 The minimum size image for a cover image is 340 x 340 with the optimal size being 736×736. Why go the extra distance to create cover images? Well, that is easy to answer, it just makes your board page look so much more professional. Gone are the images that are cut off. Instead, now you have images that fit perfectly and leverage visitors to click and repin. Members hit your page and think this member knows what they are doing, their pages look good. The result? Increased Pinterest traffic stats. You can also add cover images to your boards to really boost your Pinterest Traffic – Pinterest Board Cover Images. With a Pinterest business account, you can add your website for verification. Once your site is confirmed you can receive detailed analytics on your account. Having a confirmed account also adds your profile picture and a link to your Pinterest profile to all pins that you make from your website. 1/ Click the gear icon at the top of your Pinterest profile and choose Edit settings. 3/ Copy the meta tag that displays and add it to the <head> section of the index.html file of your website before the <body> section and save. You can also use the above method to verify your account. But if you don’t like editing your theme then a great alternative method of verifying and confirming your WordPress site is to use a plugin that you may already be using, Yoast SEO. The Pinterest verification field in Yoast SEO is an optional area, and if you’ve already confirmed your website on Pinterest you should leave this blank. 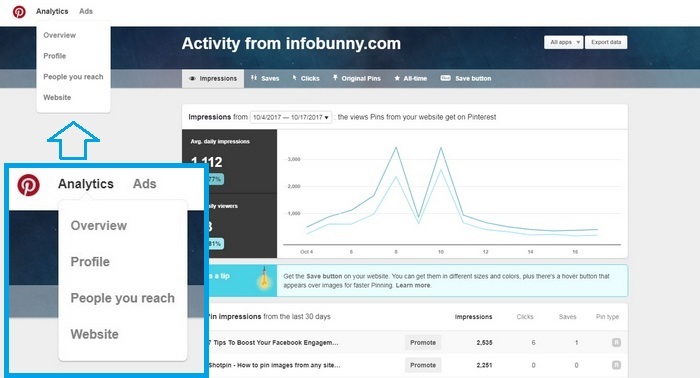 If you use a different plugin other than Yoast SEO for your on-page search engine optimization then your not going to want to install Yoast just to confirm your Pinterest. WP Beginner offers another solution for confirming by using the Insert Headers and Footers Plugin. Watch the video below for your guide on how to install this plugin and how to confirm your site on Pinterest. Pinterest Rich Pins are enhanced pins that show viewers more information than regular pins making them more powerful for businesses. Rich pins are not available on personal pages, you will need a business account. Rich pins work in a very similar way to that of Schema Markup does, in that they highlight additional information that is then displayed in the Pinterest Pin Feed.underneath pinned images. 2/ Rich Pins Provide More Information – Viewers are shown additional information about the pin making it more useful and relevant. 3/ Price Alerts – If you decrease the price of your products by more than 10% Pinterest will send an automated email about the price drop to the people who pinned your product. 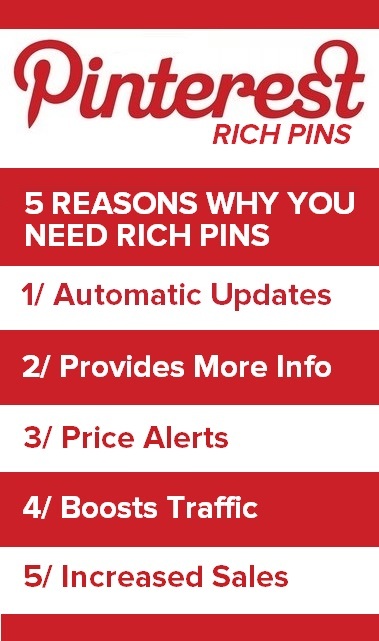 4/ Rich Pins Boost Your Traffic – More information shown brings more clicks. 5/ Increased Sales – More Pinterest Traffic equals more sales, more opt-ins, enhanced Social Media SEO. Better organic search results. Pinterest is all about visuals so you need to create visually appealing images that will solve a problem or answer a question, create images that have some kind of call to action that will leverage followers and viewers to visit your site and to repin your images. We recommend that you head over to Canva, a free image design site that will allow you to create some really cool images. Canva allows you to easily create beautiful designs and documents using Canva’s drag-and-drop feature. You can the professional layouts on offer to design consistently stunning graphics or upload your own images to use. It is really up to you. Gretchen de Guzman @canva has a pretty cool how-to guide over on Hubspot you can read it here How to Use Canva: An 8-Step Guide to Creating Visual Content. There is also a How to create images for your blog with Canva article here on Infobunny that you should check out. Once you have created an image that you want to pin you can set about optimizing it bring you traffic. 1/ Go to your Pinterest profile and click the red + button. 2/ Click on “The Web” to add an image location link for the image that you want to pin or click “Your Device” to upload your image. 3/ Type your destination page link in the box provided. 4/ Add a keyword related description to your image then add keyword phrases below. 5/ Add some relevant hashtags by typing # then the word, You will be shown some suggestions for popular hashtags that you can use. 6/ Select a pinboard and pin your image. Making specific stand-alone images for Pinterest to promote your site is a great idea but you will no doubt also make specific images designed to look good and to fit in more to your website. Make sure that you pin these site images as well and to also optimize them so that your keyword description and tags carry over on your pins. If you are using WordPress then you really can work smart and optimize your images for social media, particularly social media. I have already written about this in detail. Here are the key points to optimizing your images for social media. Pinterest now has working hashtags for pins. When you are using any site that allows you to add an image title attribute to an image you have the opportunity to load up with clickable tags for Pinterest. WordPress is a particularly good platform for being able to do this. Take a look at the screen capture below. I am assuming you know how to edit your image descriptions on WordPress. If not just add your image and click the image to show the options then click the pencil icon and you will see something similar to what is below. As you can see with WordPress you are able to add a description and hashtags very easily and share them so that any pins made automatically categorize and optimize your images. 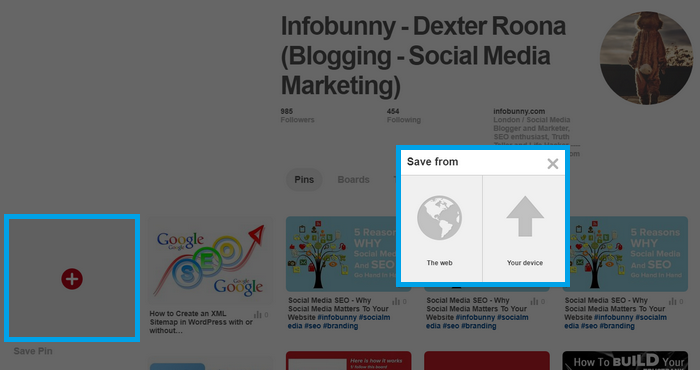 Make sure that you add social share buttons to your site. There are some great free WordPress plugins that allow you to add a pin button on images that appear when a visitor hovers over an image. On SEPTEMBER 26, 2017 Pinterest announced that Hashtags work on Pinterest via their official Blog. Up until then we just had keywords and keyword phrases. With Pinterest Hashtags, we have an additional level of image optimization that we can now add. Pinners can visit a feed of all the Pins that share a hashtag. Whether those Pins are promoted or not, the freshest Pins will always appear right up top. Hashtags are a word or phrase preceded by a hash (#) and used to identify Pins on a specific topic. Hashtags on Pinterest work just like they do anywhere else. When you add hashtags to the description for a new Pin, other Pinners can visit a feed of all the Pins that share that hashtag. Whether those Pins are promoted or not, the freshest Pins will be right up top. You can discover related content by clicking on a hashtag in Pin description. You can also search for a Hashtag, like “#interiordesign” or “#healthyrecipes”. Following other users is a great way to discover new content on Pinterest. Your Homepage displays pins from people and businesses you follow. To follow a Pinterest user, click on the Follow button next to their name. Alternatively, you can click on their name and you will be directed to their profile page. You can then opt to click follow and you will follow all the boards by that member or you can click and select individual boards to follow. 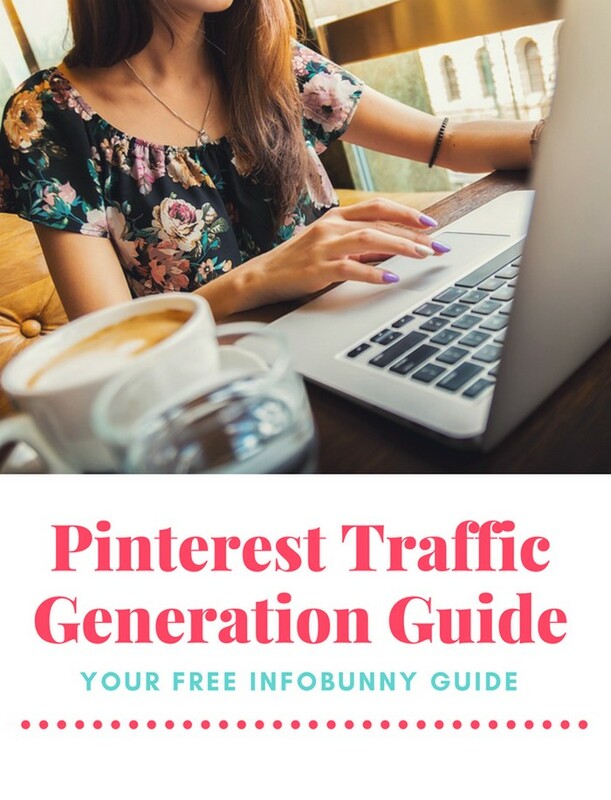 The real big takeaway from this Pinterest Traffic Generation Guide is that if you are serious about generating as much traffic as you can via Pinterest then you need to optimize your Profile, Pinboards, and Pins for keywords and hashtags. If you want your site to rank well on Google then you have to employ on-page and off-page SEO so that you rank as high as you can. Pinterest is no different. We discovered right at the start of this long, long article that Pinterest is not just a social site and that it is also an image search engine. Optimizing your pins will not only rank them better on Pinterest but will also rank them in Google search and on Google Images. 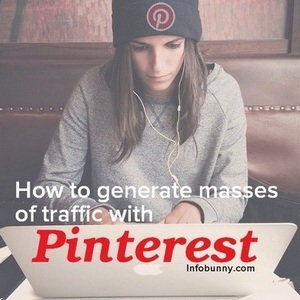 Pinterest Traffic Generation is now all about optimizing for SEO. I hope you have found this Pinterest Guide useful. Now it is over to you, have I covered everything to help you generate traffic on Pinterest? This is a useful and helpful blog post. Thanks for sharing with us. Your welcome, I’m glad that you found our Pinterest Guide useful. Thanks for stopping by. Wow. There is so much great information in this post. I will certainly have to read through another one or two times. I adore Pinterest. It is a really fun platform and there is so much to learn. There is a ton of traffic there. 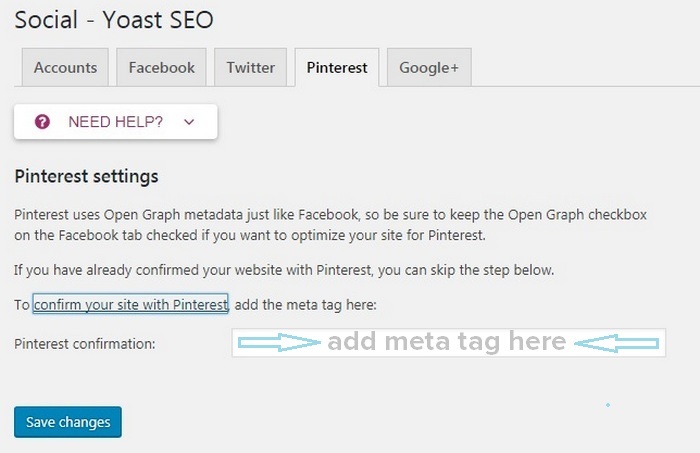 My latest Pac article deals with Pinterest SEO and how to grab your share. All I can say is wow what a detailed post! I haven’t put much effort into my Pinterest media channel yet, however using your guide I will certainly take a closer look at it now. Reading this post I noticed I have already done quite a few of the things you list, so it should be just a matter of spending a day or two reviewing everything and making sure I haven’t missed anything. Thank you again for the informative article! 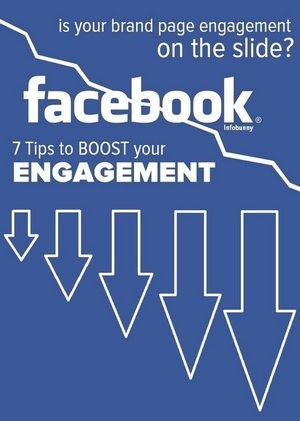 Dexter Roona recently posted…Pinterest Board Cover Images – Are You Using Cover Images? I did indeed find your Pinterest article useful!! Lots of information on Pinterest. Very well done too! Hashtags are something new since Sept. Saved your links and will be sharing, particularly in a Pinterest class I will be attending. This is great Dexter! I need to update my Pinterest boards, and have bookmarked this to refer back to. Thanks! This is my first visit to your blog. Really liked it. A very informative post on Pinterest. Loads to learn from it. Thank you, i hope you pop back now and then and read a few more of my articles. I’ve found that Pinterest is still hugely underrated by most brands. 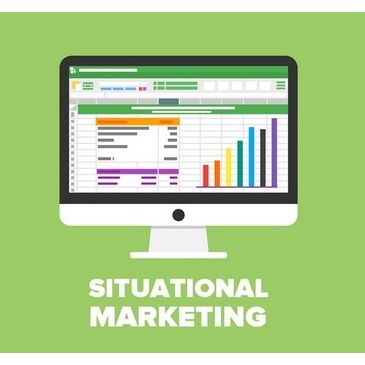 It’s actually wide open for cost effective marketing because most haven’t caught on yet! I wasn’t aware that we can use hashtags now – my bad for taking my eye off the ball for the last month or so with Pinterest – thanks for the tip! 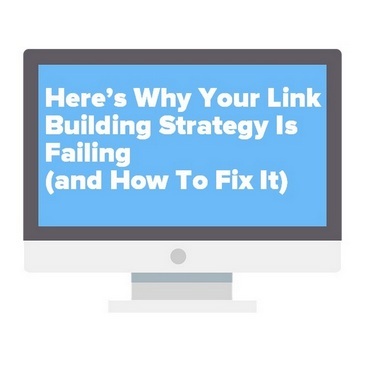 It’s hastags that make optimizing your blog images so important. Thank you for this guide. 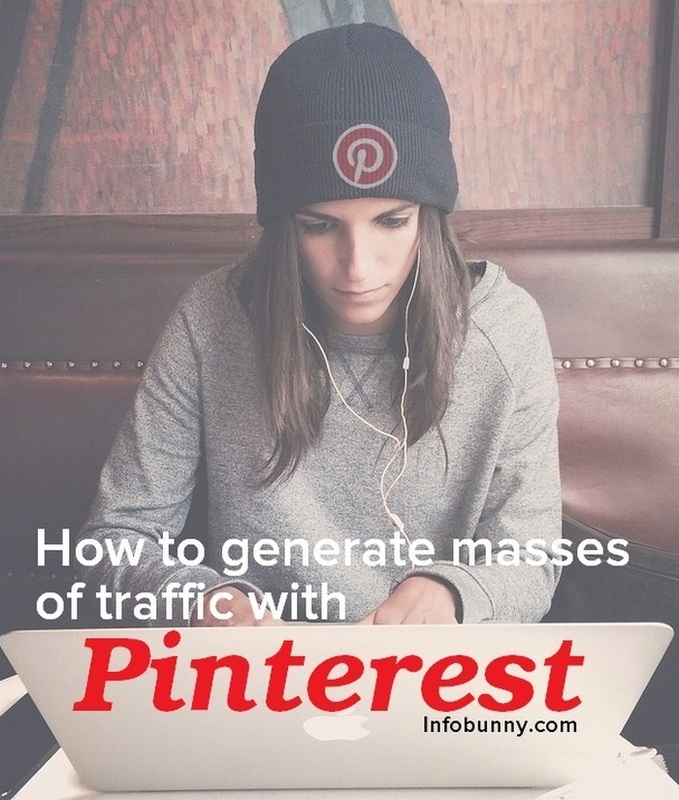 I know pinterest can generate a lot of traffic but I’m yet to fully capitalize on its traffic potential. One thing I’ve learned is that it may not work for every niche. What is your take on this and do you have a guide for one to validate their niche before trying to generate traffic from here? Charra recently posted…Can I Paint Exterior Vinyl Shutters? I would say it will work for any niche providing your images are good in my opinion. What an amazing amount of information about Pinterest. I started using Pinterest at the very beginning, just playing and loving it. I created boards about everything that interested me – travel, shoes, clothing, love, relationships, healing. I put all my blog posts and articles, videos, etc. onto boards. Then, after creating a business page, I had to switch in and out and log in with a new password – and I just stopped using Pinterest. Your post explains a lot – so I guess soon I will go back in and see what I can do there. Yes, big changes. You certainly no longer have to switch in and out anymore. This is informative and beneficial for who those need. Thanks for sharing with us. Lots of information here. I’m just focusing on one social media platform this year. Hi Rachel. Thanks for stopping by. Which Social are you focussing on? 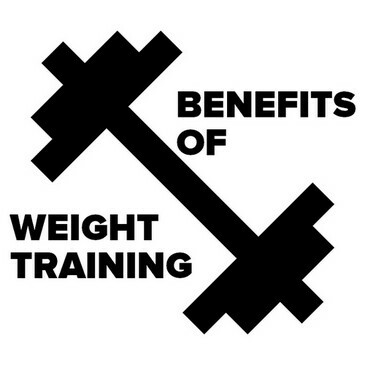 Tons of great information here! My challenge with Pinterest is relatively simple to diagnose. It is a verticle world and my blog theme is set up for horizontal images. This may seem minor, but it means every image I create for my blog has to be redesigned in order to effectively use it on Pinterest and not all of them convert that well. I’ve been reluctant to invest the time to create a whole range of images for just one platform, especially when the stats I see rarely even list my niche in terms of trending interest. I’m there, and I have done the things you’ve recommended. Thanks for the tips and advice! Superb guide and easy to follow. I’m a newbie to Pinterest so my notion of what it is was rather sketchy. You laid things out excellent and now I’m fired up and ready to hook it up! Thanks Dexter. That’s great to hear make sure that you connect with me in Pinterest. Okay Dexter, this is about your best article (post) I have read since I’ve been reading your blog. Actually, I started using Quora, Facebook Messenger Bot, and of course Pinterest to drive traffic to my new blog… it was in reading one of your posts on Quora that I stumbled on your post on you use Quora to drive massive traffic. I followed it, read it pretty closely, and trust me it was really worth it! 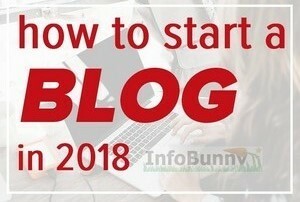 I am so glad I took my time to read your posts, and for the first time, I now have a true hang on how to use Pinterest to drive massive traffic to my HotJobs blog. Thanks so much for sharing this information my friend! Social media proves to be a gateway of more traffic to the blogs or websites, more loyalty towards the customers, more lead generation in business and so on. Thanks for posting this article with valuable information. Social media can provide you good quality and returning traffic. Through social media, we can engage a huge number of people with our business. But social media is a skill marketing technique, one must need to know how to target the correct traffic. I’ve been using Pinterest from the past 2 years and must say that is the best photo sharing platform I have seen. And it helps to drive traffic to your page as well.